Ashur (Qal'at Sherqat) are the remains of the first capital of the Assyrian empire from the 14th to 9th centuries BC. The Assyrian Empire took its name from the city of Ashur. Ashur contained a large number of important religious buildings, and a handful of palaces. Documents from the 7th century BCE tell us about 34 temples and 3 palaces. Only few of these have been excavated. The city was the centre for worship of the god Ashur and the goddess Ishtar/Inanna. 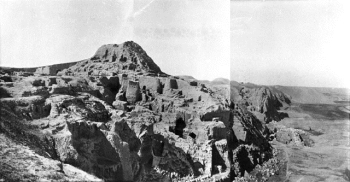 Exploration of the site of Assur began in 1898 by German archaeologists. 4 Community Members have visited.